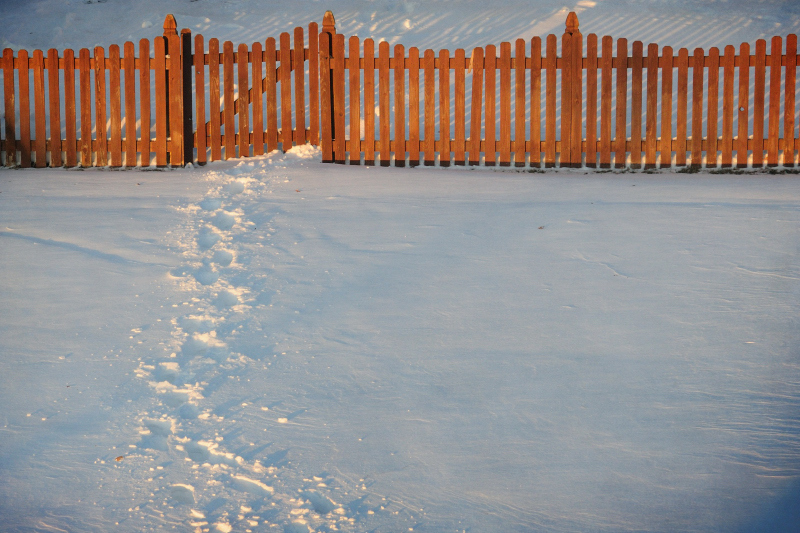 A common sight in winter, the path between our house and our neighbor's yard. Taking the sidewalks triples the distance and isn't as fun as romping through the snow. Very nice shot.. love how light hits the fence!